Content marketing trends are perpetually changing. Aside from the actual changes in the digital realm, the way content is generated is also transforming. With millions of websites out there providing content, readers are now afforded the luxury of filtering information and choosing whichever they deem useful and engaging. Not too long ago, SEO and content marketing were two separate determining factors for search engines to be indexed for specific keywords. It was all about the volume of content, as well as the bulk of links for content websites to rank for their target keywords in search engine result pages. Thanks to Google’s advanced algorithms, that now has changed as quality of the content is given more importance. When it comes to content marketing, relevance is everything. Just a little over 5 years ago, it was the merging of content and marketing that skyrocketed blog sites and content websites. Businesses gained solid following from their audience who were then converted into loyal customers. While content is still king, relevance brings the might to your marketing army. It’s the quality and relevance of your content that not only attracts an audience but also retains them. Content marketing promotes an interactive generation of content. User experience is always on trend, but more so now. Content generators now work on attracting users and engaging them in their posts as a regular part of their job. Comment sections that have always been a part of the blog sites and content websites since day one still play an important role. Marketers still check them to have a grasp of the sentiments of their audience. These thoughts, these comments help them improve not only their content but the brands’ products and services, too. Content marketing is getting more visual. Long and wordy content in blog posts is considered a drag. Users need images. They look for videos. And with countless other websites competing for the attention of the same target audience, content providers are challenged to employ strategic ways to keep their readers enticed. Content does not only refer to text, but also to images or animated visuals that help get your message across. Content marketing, along with SEO and Social Media, is still the pillar of inbound marketing. SEO now depends on content to improve the website’s ranking in search engine results pages. Like we said in the beginning, the better the quality of the content you have the more chances to get checked out by the audience. Social media marketing also depends on content to make their social media pages up-to-date. You see, a page cannot exist without content! Content marketing still ranks high in the world of digital marketing. Social media pages need content for it to get a solid following. Email marketing campaigns can only be successful if their content marketing strategies are also spot on. 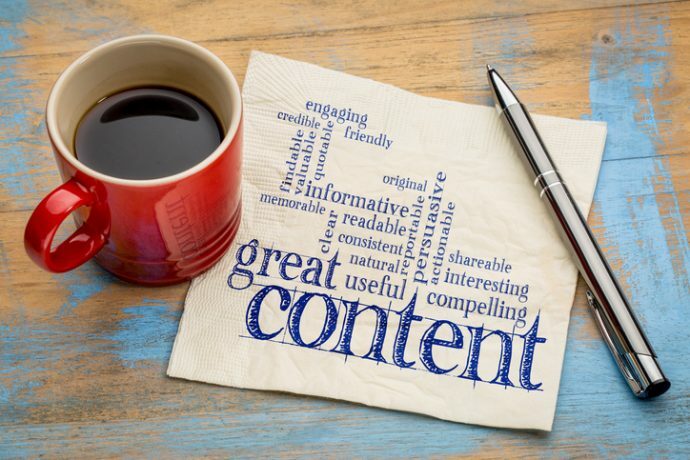 Indeed, content marketing is like the oxygen of websites that need it to be able to sustain itself, compete with others, and to continuously thrive. This entry was posted in Analytics, Online Marketing, SEO, Website and tagged Content,Content Marketing,digital marketing,Online Marketing,SEO on August 16, 2017 by ReferLinks Online Marketing.